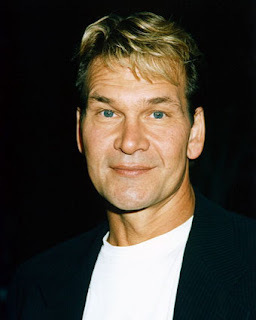 I met Patrick Swayze for the first time back in 1983, when he dropped by the hotel where I was staying in L.A. that weekend to talk about his upcoming role in Francis Coppola’s The Outsiders. It was supposed to be a brief chat, but it turned into a long, leisurely conversation. I remember thinking at the time this guy certainly seemed to have enough drive, determination and charisma to succeed in a very challenging field. I also remember being very envious of this guy, because when the valet finally brought around his car – it was a DeLorean. I won’t pretend that Patrick and I were close confidants or bowling buddies. But we did wind up talking several other times over the years. And we got to the point where I think we enjoyed each other’s company – and even shared a couple private jokes. Right from the start, I noted his habit of describing how busy he might be at the moment, and how determined he was to get the next gig – and how he’d always end up shrugging, smiling, and saying: “Hey, you work hard, and then you die.” Up until the very end, Patrick never stopped working -- never stopped fighting. He struggled against expectations and preconceptions – and narrow-minded casting directors -- to get cast against type in movies like City of Joy and To Wong Foo, Thanks for Everything, Julie Newmar. And even though, ultimately, he lost that final battle we’re all destined to lose, he fought the good fight long and hard with uncommon grace and inspiring dignity. But here’s the thing: A man can die, but his movies are forever in the present tense. And I’m sure Patrick would be pleased to know that, even though he’s left us, he’s still with us. Because Patrick – with all due respect, wherever you are – you were only half right. If you work hard enough, you just might live forever.